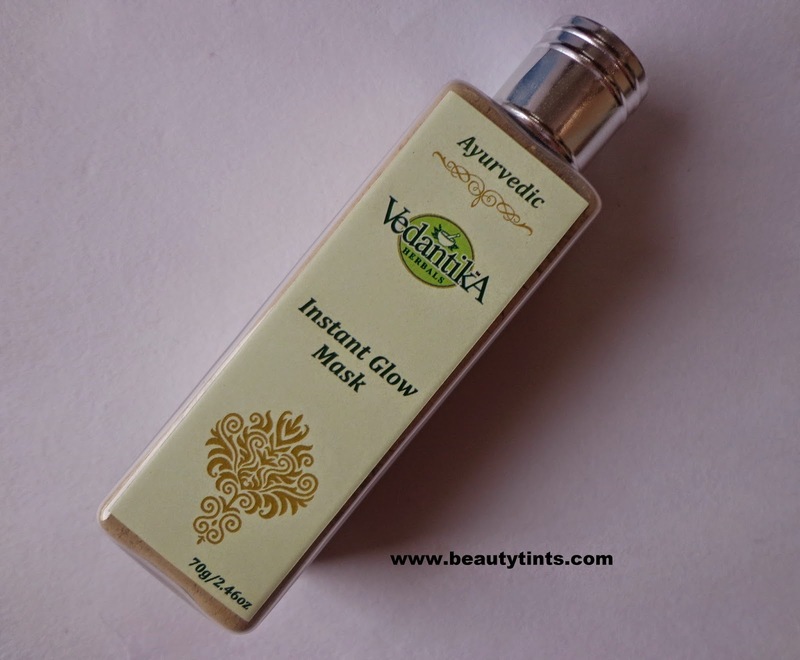 Recently I have reviewed Rose-Sandal Face Wash from Vedantika Herbals and today I am reviewing one more product,which is their Instant Glow Mask. Packaging : It comes in a transparent sturdy bottle with a screw cap. 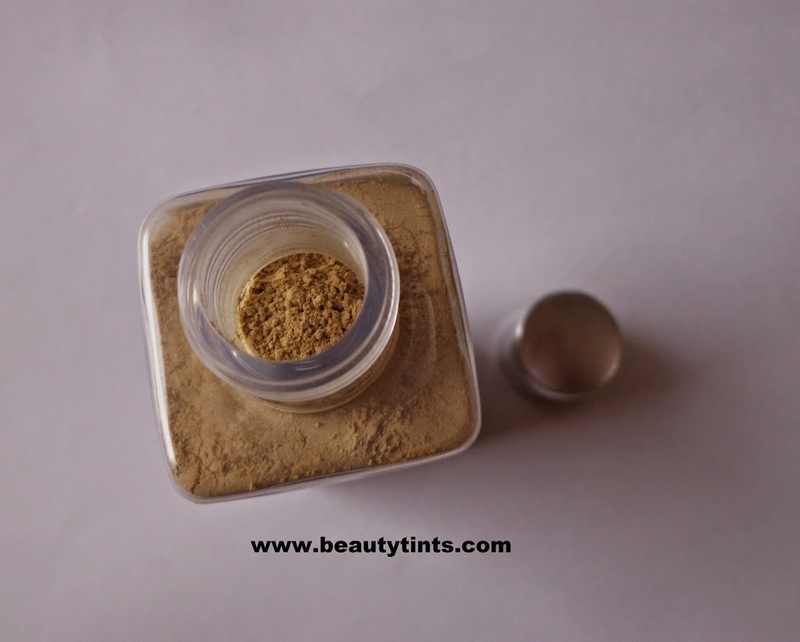 Color and Texture : This is a sandal colored powder mask. What the product Claims : A rare combination of Herbs traditionally used to give radiant glow in the skin. It enhances cell regeneration improving skin metabolism. Leaves your face looking years younger. 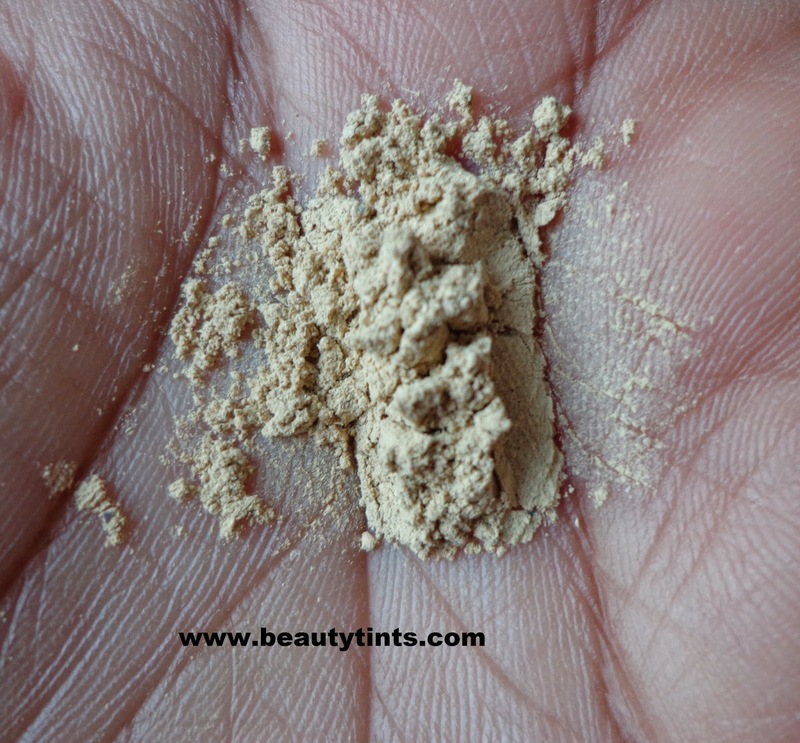 Ingredients : Sympiocos Racemosa, Ocimum, Sanctum, Berberis Aristata, Cinnamomum. Camphora, Myristica Fragrans, Citrus Aurantium, Santalum Album, Rose Petals, Fuller’s Earth. 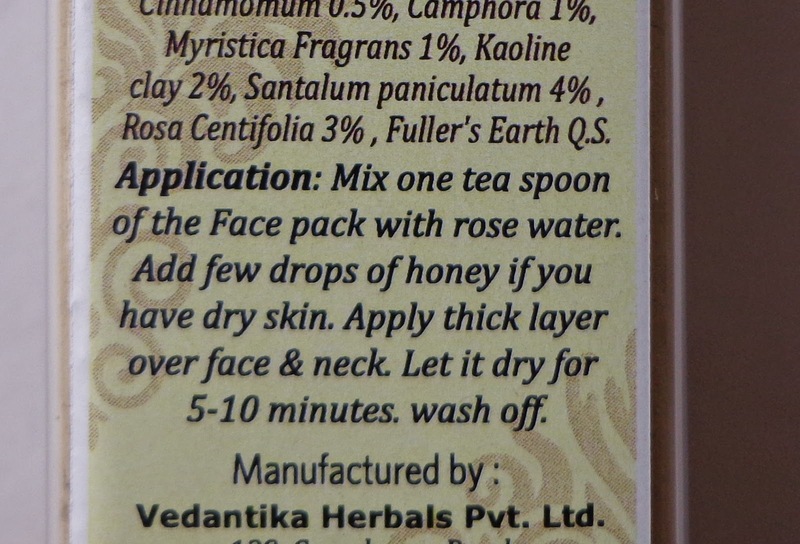 Directions for Use : Mix one teaspoon of the face pack with rose water or cucumber juice. Add a few drops of glycerin or honey if you have dry skin. Apply a thick layer over face and neck. Let it dry for 15 minutes. Wash off with water. 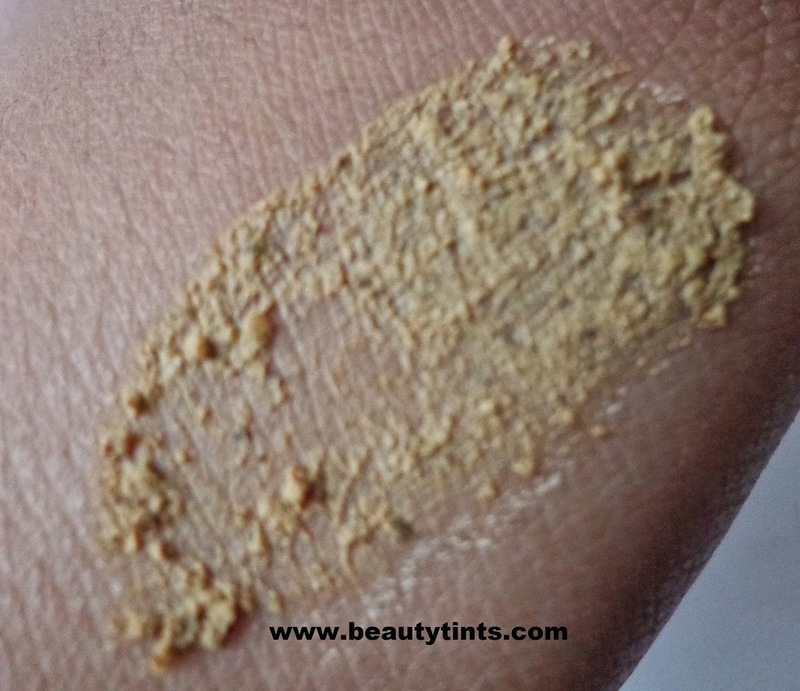 My Views On the Product : This Instant Glow Mask has a unique camphor fragrance.This is a powder mask which is a fine powder but not very smooth like Fuller's Earth packr.I mix it with cucumber juice and allow it to soak for 10 mins and then apply it to the face, so that it sticks to the skin properly. It gets dried up in less than 15 mins and it is very easy to remove.Immediately after application,mild tingling sensation occurs especially in the areas of skin break outs,this may be due to the presence of camphor as one of the ingredient. 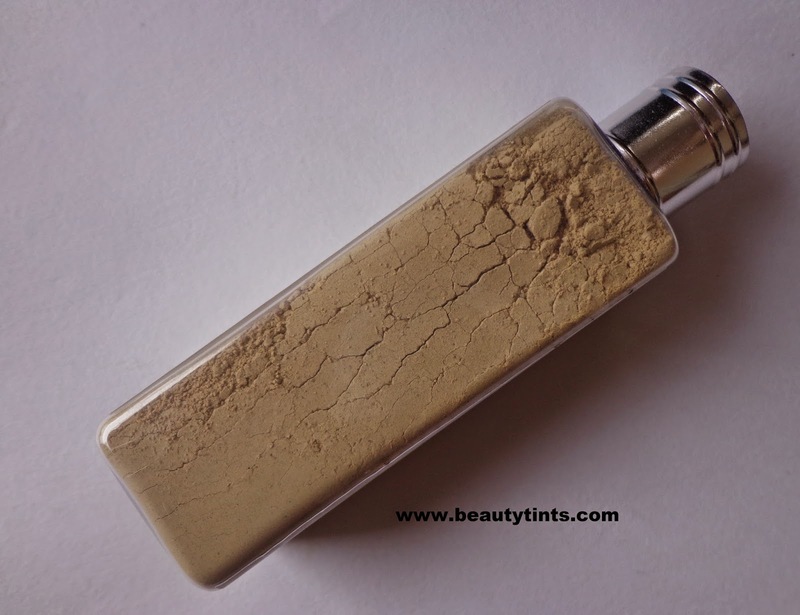 This mask instantly brightens up the face and makes it clear and clean.Those who have dry skin must add honey also as it is a bit drying after rinsing,when used with rose water or cucumber juice.It also makes skin smooth and supple.But as the name says Instant Glow Mask, it does not impart any remarkable glow on the face,but definitely it makes it smooth,clear and bright.I think it can also be good for people having frequent breakouts as it contains camphor.This mask is especially good for oily skin as it removes the oil,dirt from the pores effectively.It is a complete organic mask with the goodness of Fuller's Earth,Sandal wood,Nut meg,Basil,Bitter orange,Lodhra,Camphor etc.,It is very affordable and easily available. 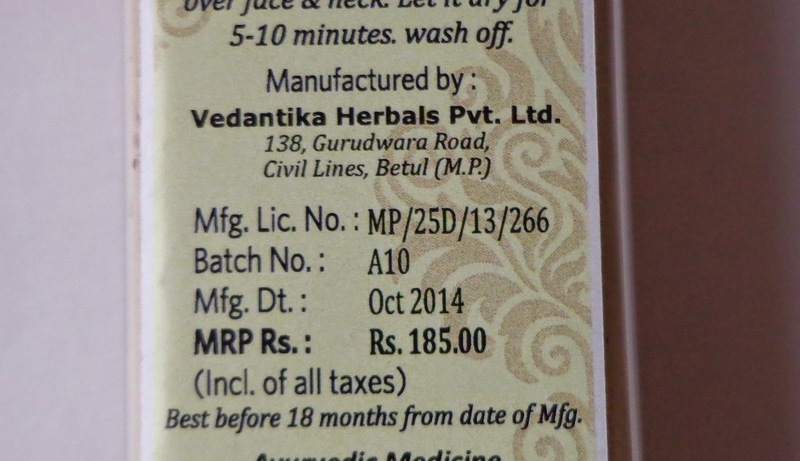 Final Conclusion about Vedantika Herbals Instant Glow Mask : Those who want a good face mask which makes skin clear and bright at an affordable price can surely give this a try!! !